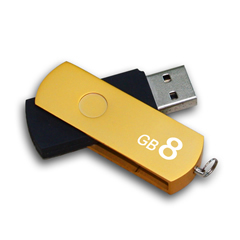 It’s no wonder why we call this custom flash drive the Elite. 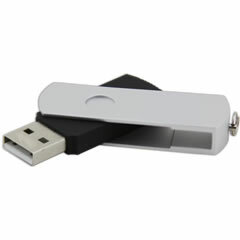 This drive features a large metallic swivel that covers the connector and it allows for more surface area to display your logo. Also, the swivel portion is available in multiple colors to suit your organization needs.